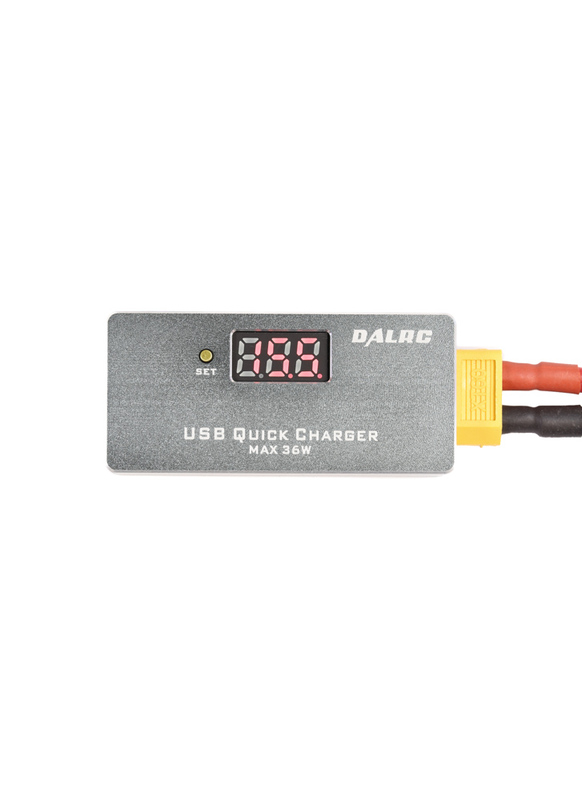 Turn any XT60 LiPo battery into a portable power bank with the DalRC USB Quick Charger. 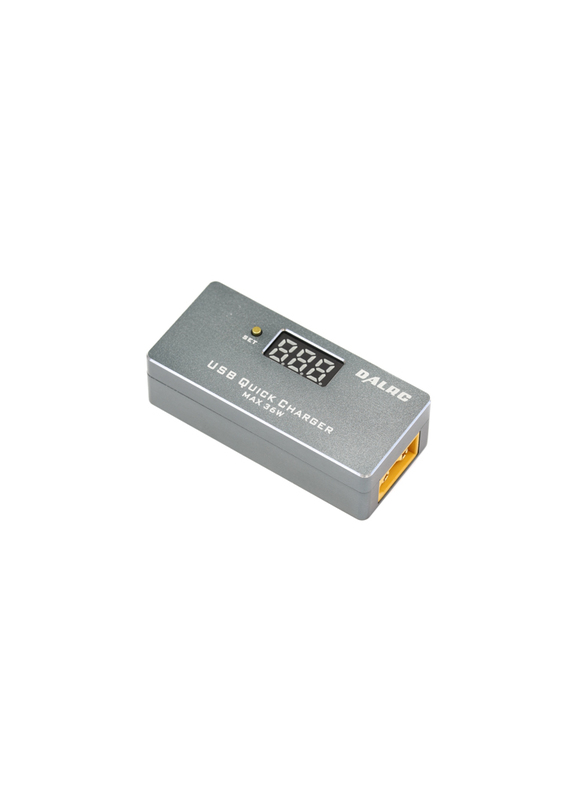 It is a simple device that allows you to connect a power source to it to be converted into a USB power port for charging and powering any USB device. 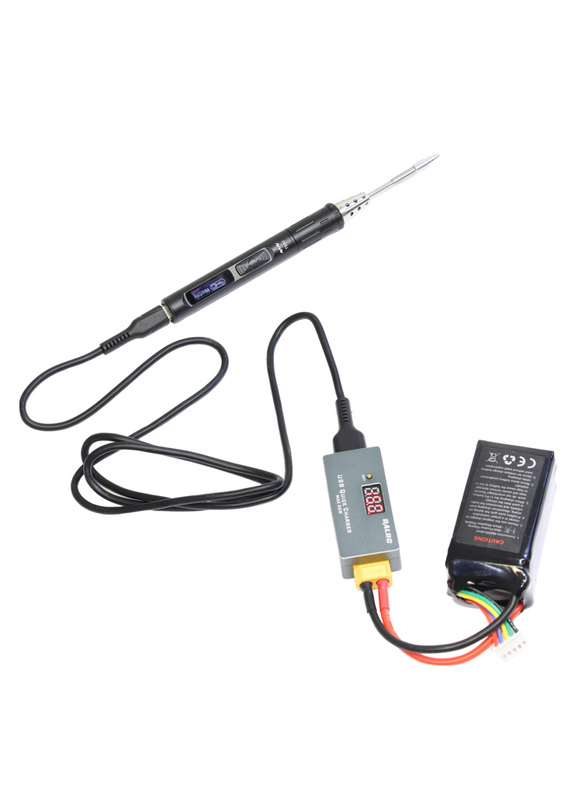 You can use it charge smartphones, tablets, USB powered torches, Tiny Whoop battery chargers, the TS80 Soldering Iron... anything the uses a USB power supply. Furthermore it's not just any USB charger; it's a quick charger. What does this mean? A quick charger is designed to charge your devices much faster than a conventional USB port allows by stepping up the output voltage. Most modern Smartphones support quick charging technology and if your device isn't compatible with quick chargers, it doesn't matter as it automatically works like a regular USB port too. The Quick Charger is very easy to use, connect a 8-32volt power supply and then your USB device. If you are using a LiPo battery as the power source, you can set a cut-off voltage so you don't over-discharge your battery. Simply hold the set button for a few seconds and then short press it to set the appropriate cut-off voltage.